Playdom's price wasn't cheap: $563.2 million dollars, along with a performance-linked earn-out that could go as high as an additional $200 million. The California-based company is relatively new, having existed two and half years, but it's grown rapidly, now serving 42 million players per month. 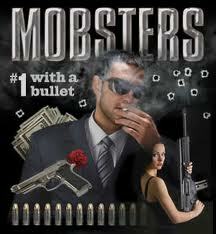 It provides the #1 game on MySpace, Mobsters , and lately has been looking towards Facebook. Other games include Social City, Sorority Life, TIki Resort, and Treetopia. Last May the company signed a two year deal with ESPN to build games for them. It's also announced plans to begin localizing its games for European players, translating them into French, German, Italian, and Spanish. Disney was familiar with Playdom, having already been a Playdom investor. Its Steamboat Ventures participated in the company's last round of financing, which raised $33 million from Bessemer Venture Partners and New World Ventures. Steamboat Ventures is Disney's investment fund for digital media, consumer, and technology companies. Playdom's done some acquiring of its own, such as Buenos Aires based Three Melons , a game development studio that produced Bola , an online soccer game. Disney hopes to use Playdom's expertise and experience with social gaming software and marketing as well as rapid innovation to increase Disney's global gaming presence. Playdom's chief executive, John Pleasants, will join Disney as an executive and work on titles based around popular Disney franchises. The games can be addictive. I used to have Myspace account I do play games it alot. What are the Social Media Marketing Benefits?